While we might not admit it all the time, most of us care about our neighbors’ perceptions of our homes. We manicure our lawns, keep our sidewalks shoveled, and maintain our homes’ curb appeal, just to ensure we stand out, or at least fit in with our neighbors. It makes sense that many homeowners this year are focusing on one of the main focal points of their homes: their garage. The garage is often the largest room within a home, and the garage door is the largest entry way into most homes. A little garage updating can go a long way to make your home stand out from the crowd and boost your property value. 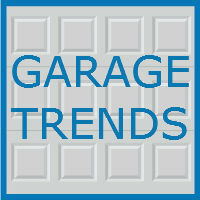 If you are hoping to make your garage the talk of the block this year, stay up-to-date with these 2016 garage trends. Today’s homeowners only have one chance to make a first impression, so many are focusing on adding a little pow to their garage doors. Doors Are Getting Bigger: Larger garage doors tend to stand out from the crowd, so many homeowners are going for bigger doors during homebuilding and remodeling. Larger doors allow for more creativity and can help increase curb appeal. Use Unique Material: Most basic garage doors are constructed with aluminum or steel, but using unique materials can really make your garage door pop. Turn heads by using copper metal or a door with glass panels. Modern Windows: People often install windows in their homes to increase curb appeal and add natural lighting. Why not do the same with your garage door? Choosing a door with windows will allow natural light to fill your garage, and can really add a nice architectural element to the exterior of your home. Many homeowners are also choosing large windows, as they allow the best views from the garage. A Splash of Color: This year, homeowners are choosing colors for their garage doors that compliment the design of their home and the landscaping around it. Ditch the classic white garage door look in exchange for a color that will boost your curb appeal or provide a new, modern look to your home. Garages are no longer only for parking cars. Many homeowners are transforming their garages to fit the needs of their household. Some convert the space into a home gym, others a movie theater, workshop, or bedroom. As garages are more frequently being converted into additional living space, homeowners this year are looking for ways to make their garages more habitable. Many homeowners are want the ability keep their garages climate controlled. To do so, they are choosing insulated garage doors, for a number of reasons. They prevent harsh temperatures outside from affecting the garage, and also help reduce outside noise, which is especially important if the garage is being transformed into a sleeping space. Homeowners are also taking advantage of the abundance of new garage technology available. Did you know you can open and close your garage door with an app on your smartphone or tablet? New smart garage door openers help provide peace of mind to homeowners and are convenient and easy to use. Many new garage door openers also have the ability to store power, so they can still open and close a few times during a power outage. It is not just the outside of the house that homeowners are focusing on this year. Nobody wants to lift their garage door and let their neighbors see the mess hiding within their garage. This year, try a few trendy new garage organization ideas, including overhead storage, additional cabinetry, and gridwalls. 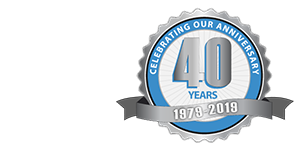 Whether you are looking to build a new garage, remodel your existing garage, or simply make a few upgrades, the specialists at Blue Sky Builders are here to help. Visit us online, or call 630-852-8485 to speak to one of our team members today.